Is Winter an Apolitical Issue for Canadians? I told Gulli that I hope this warm winter is a catalyst for change and people will wake up to the fact that we need to take action, in our personal lives and also by writing to tell the government we want them to take action on a carbon tax. 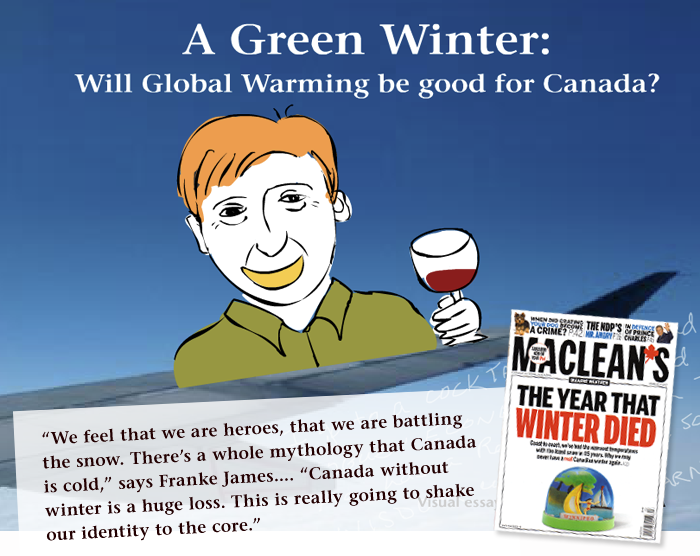 The apolitical question and my reply didn’t make it into the article, but I’m thrilled to see Maclean’s writing about our record warm winter because they reach a mainstream audience — and we need every Canadian to take action, not just so-called “radical” environmentalists. Concern about climate change needs to be talked about more in the media because it will impact all aspects of Canadian life. And as much as I delight in this gloriously sunny, “time to put on my shorts” weather, it is eerie. I see it as a warning to all of us that the planet is warming. Just look at the rising levels of CO2 in the atmosphere. We are now at 393ppm — which is 43ppm higher than is safe (350ppm). We are zooming towards the danger zone of 450ppm with no signs of slowing down. We need real leadership on climate change at all levels of government. 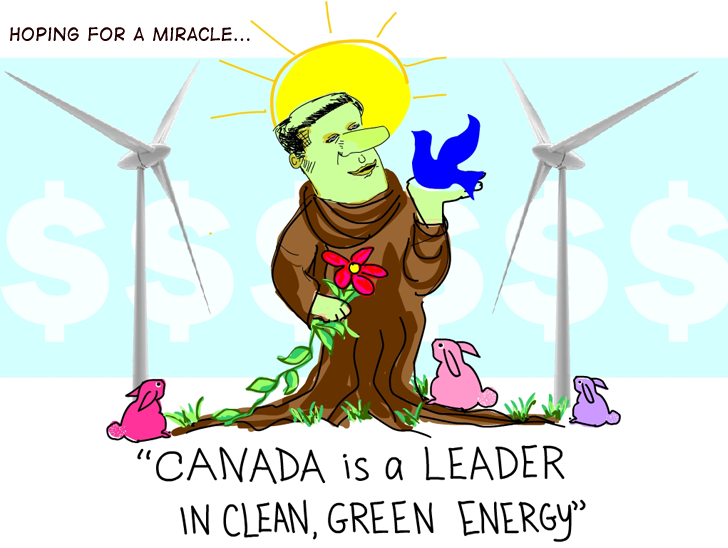 I hold out the hope that if Canadians demanded action on climate change, the Harper Government would take action. If only because they would understand that it could be the source of their renewable power. @frankejames winter is not apolitical if we want to maintain the Arctic and have polar bears in 50 years. @frankejames:For many, winter is an apolitical issue but it shouldn’t be.Warming winters in Canada are like dead canaries in a coal mine. Erich – Belatedly on your comment, it’s evident that the Northern part of Canada will be subject to relentless economic development pressure – it has already started in fact. Of course Winter is very “politically charged” – it’s anything but apolitical. I agree, we need real leadership on climate change at all levels of government not only in Canada, but in the US as well.